Josh Brolin admits that he was just as shocked as the rest of audiences when watching Avengers: Infinity War for the first time, revealing that Spider-Man's fate was "not okay." Last weekend, Elizabeth Olsen spoke about the secrecy surrounding Infinity War and Avengers 4, stating that the cast was only able to read the full script in a small private room with no windows. And when the cast was given their pieces of the script, they were given little bits and the Russo Brothers often threw fake storylines in, so it makes sense that Brolin wouldn't know of Peter Parker's fate. In a new interview with USA Today while promoting Sicario: Day of the Soldado, Josh Brolin was asked about playing the Mad Titan in Infinity War. He revealed that he was not aware of the damage that Thanos caused when he snapped his fingers after obtaining all of the Infinity Stones. Apparently, the Russo Brothers did not notify him that he would be wiping out some of the world's favorite superheroes, including T'Challa and Spider-Man. He explains. "I was literally sitting in the theater going, Oh my God. Oh my God. Spider-Man just disintegrated. That's not OK. I looked at Hemsworth and he looked at me. He smiled and was like, Your career is over." It's actually good to know that Tom Holland didn't spoil the fate of Spider-Man to Josh Brolin. That being said, Chris Hemsworth was obviously joking when he said that Brolin's career was over after that snap. The summer of 2018 has unofficially been the summer of Brolin. The actor portrayed Thanos in Infinity War, then Cable in Deadpool 2, and this week sees the release of Sicario: Day of the Soldado. If anything, Brolin is bigger now than he has ever been. Watching Peter Parker turn to dust at the end of Infinity War was undoubtedly one of the most emotional moments in the Marvel Cinematic Universe so far, so it's nice to see that the scene even touched the actor who played the main villain. Josh Brolin will be back for Avengers 4, and he has expressed interest in possibly returning to play Thanos in The Eternals movie as well. Depending on the timeline, Brolin could very well make a cameo in that project as well. 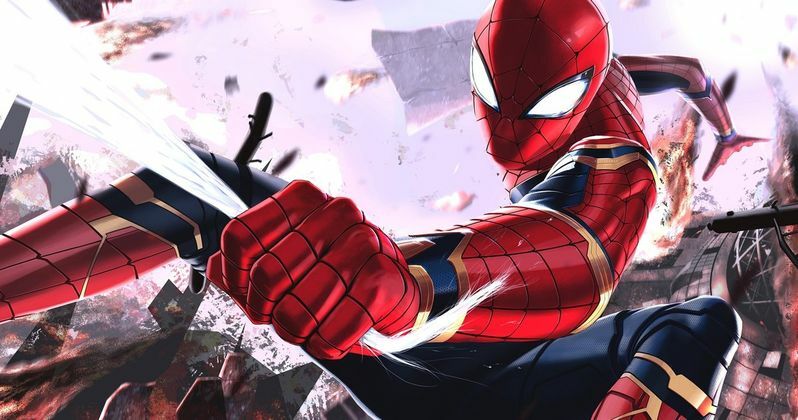 While we know that Peter Parker will be returning for Spider-Man: Homecoming 2, it isn't clear how he will be able to come back from the dustbin after Infinity War. The Quantum Realm will more than likely play a role in the return of some our favorite heroes, but the specifics are unknown at the moment. Hopefully Captain Marvel will shed some more light on the upcoming Avengers 4. For now, you can check out the original interview with Josh Brolin discussing his shock of seeing Spider-Man turn to dust because of his character's actions over at USA Today.